We are delighted to announce a series of blogs by our newest member to the team our Medical & Lifestyle Author Dr Anna O’Donovan. Her initial series of articles will be called “Places where Air Quality may not be as good as expected: Sophie’s Quest for Better Air”. The first blog published next week will start with Sophie returning from her trip to India and prompted by her experience there, she launches a quest to discover more about the air quality around her. We will be looking at the issue of health and air quality through the eye of Sophie as she shares her insights into these issues in a way that is relevant to her and her family. We are delighted to have our Medical & Lifestyle Author Dr. Anna O’Donovan join the team to contribute an opinion on this highly relevant area from a less technical perspective. Anna is mum of three children, one with allergies and she suffers from allergies and asthma herself. 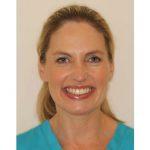 She is a qualified doctor and worked as a General Practitioner and a dentist for a number of years. She is also an award winning author.